Har Mar Superstar (Sean Tillmann) performing Prisoner (from his latest R and B drenched "Bye Bye 17 album) at the Dirty Laundry / Get Bent CMJ show at Pianos in NYC on October 2012 - courtesy of super duper cool Dirty Laundry.TV. On Prisoner, with horn sounding riffs sweetly lifted out of Saturday Night Fever, Tillman uses his potent pipes to great effect. When he pushes his voice to it's edge he hits this truly lovely and gutsy sweet tone which sounds soooo good. 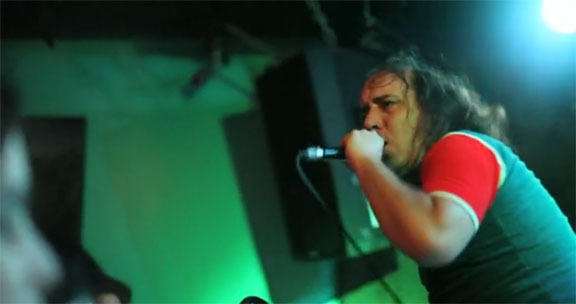 Dirty Laundry Presents: Har Mar Superstar (Live At CMJ) from Dirty Laundry on Vimeo.